Mamma's little daredevil LOVES a super fast slide. She is in her complete element here at the Village Square Park. The main green slippery dip is one of the fastest we have encountered and has a brilliant view from the top. The main structure is the showpiece of the playspace and is also where you will find the sandpit! The sand is tucked below the climbing frame although lots seem to find its way down the inclines as well. At this park you will also find musical poles, a pencil shaped nest swing, a climbing net and a basketball half court. 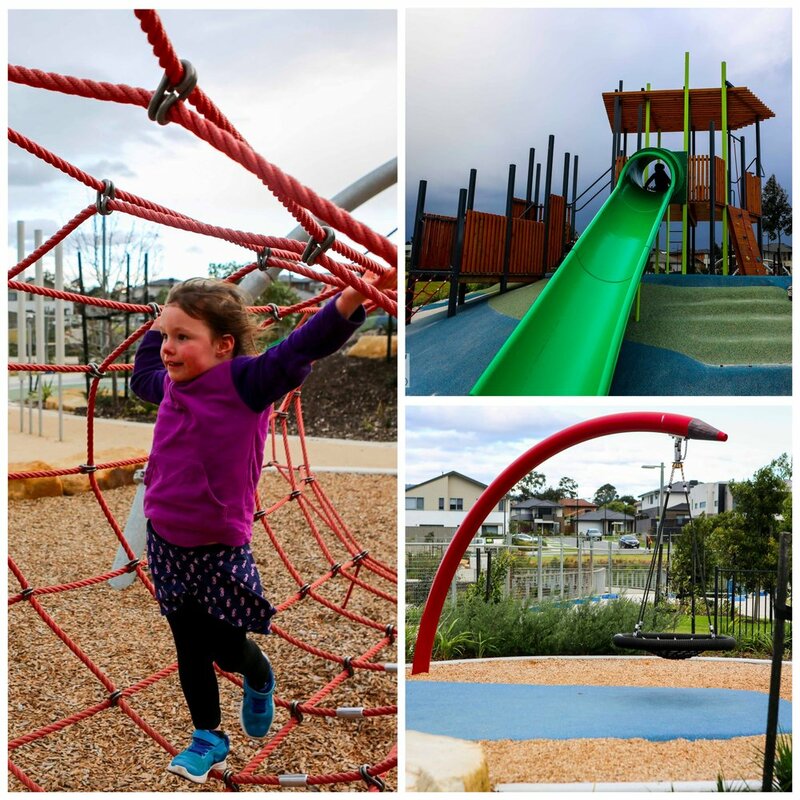 Overall, a great combination of playground elements making it a fun trip to the park! 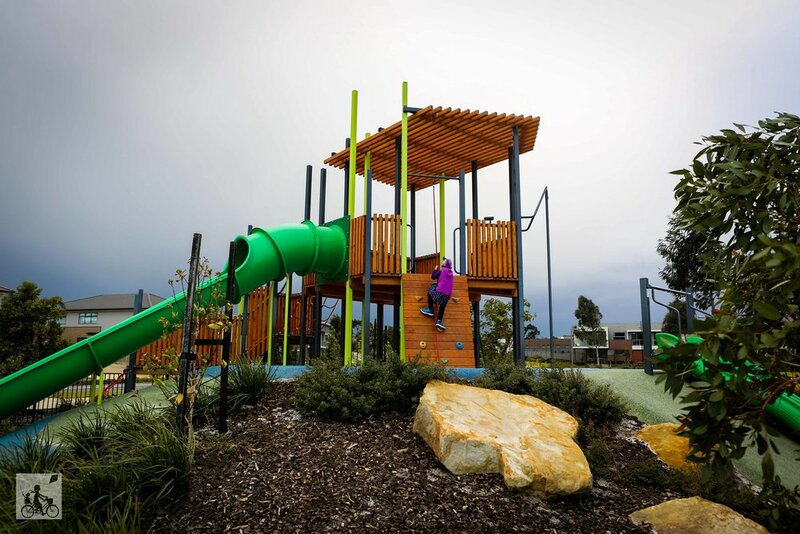 Mamma's special mention: The Village Square is the second park instalment amongst the new homes in the estate. 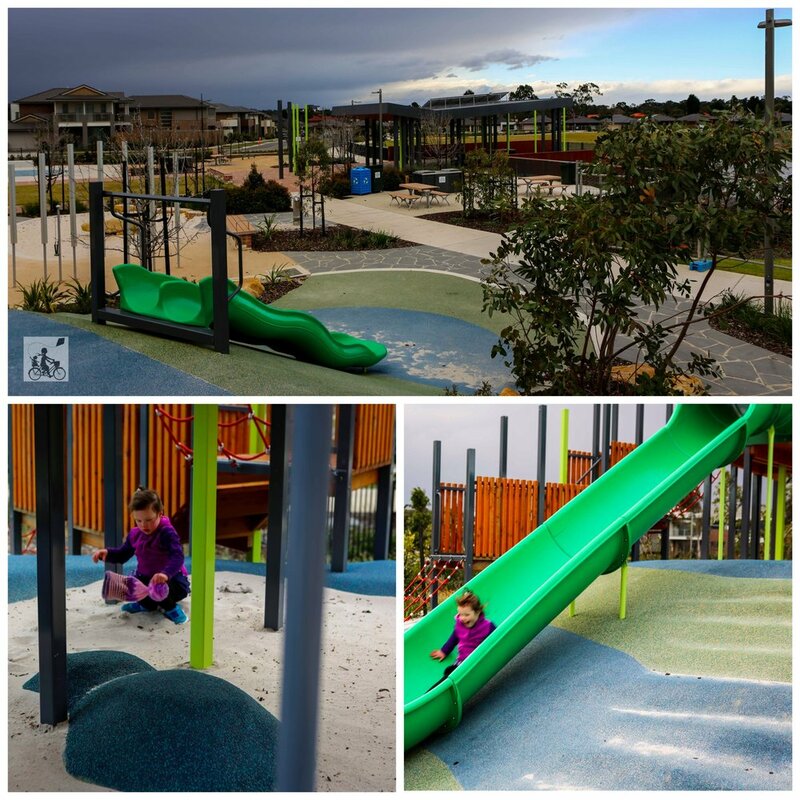 You will find the community garden playground, with plenty more slides, just walking distance up the road.